Click here to be notified by email when Olympus OM-D E-M5 Mark II Camera Body - Silver becomes available. 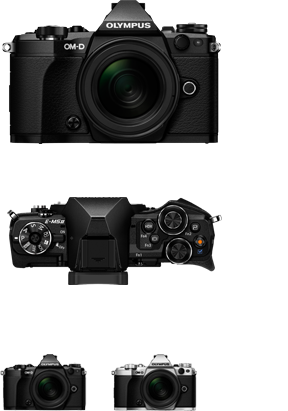 E-M5 Mark II: Power in your palm. With the E-M5 Mark II, you have a full-proof portable system. It not only weighs in at a light 417g, it also boasts construction quality beyond compare. It’s splash / dust / freezeproof, so Mother Nature won’t get in the way of you capturing a creative shot or movie. Combined with a compact size, this OM-D lets you naturally get in the scene without sticking out of the crowd. E-M5 Mark II: Movie-making ease. Free yourself from the cumbersome camera stabiliser normally needed for cinema-grade movie-making. The E-M5 Mark II features the world’s most powerful 5-Axis IS*, which is all you need for hand-held filming. With it, you can shoot steadily even while moving. The high bit rate of up to 77Mbps and multiple frame rate options let you easily record stunning scenes in Full HD action.